At Maui Lani Veterinary Hospital, our state-of-the-art technology and decades of accrued experience allow us to deliver a standard of truly excellent care, delivered with a personalized, compassionate touch that makes all the difference when it comes to putting your pet at ease. Our veterinary hospital is absolutely thrilled to deliver a wide range of veterinary services; ranging from routine diagnostics and wellness checkups, to precise surgical and critical care solutions and more. 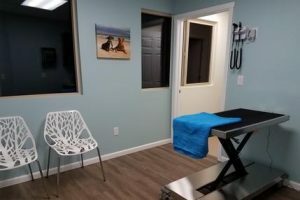 Our veterinary facility also offers in-house blood work to drastically reduce processing times, while offering pet boarding, ultrasounds, vaccinations, surgical procedures, digital X-rays and much more. We believe that access to excellent veterinary services is key to maintaining excellent veterinary health, so we deliver on that promise each and every time that you visit! We provide veterinary care for the pet owners in Kahului , Wailuku, Kihei, Pukalani, Makawao, Lahaina, Wailea, and Hana.